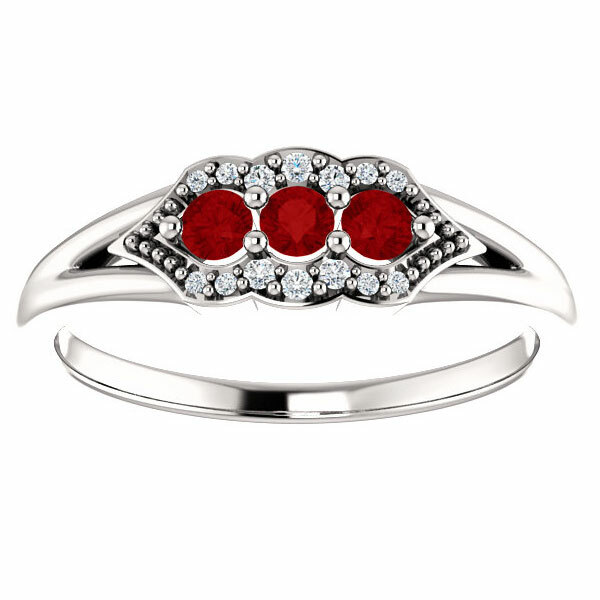 A beautifully stylish three-stone ruby and diamond ring with a unique tri-design setting crafted in your choice of 14k, 18k white or yellow gold or platinum. 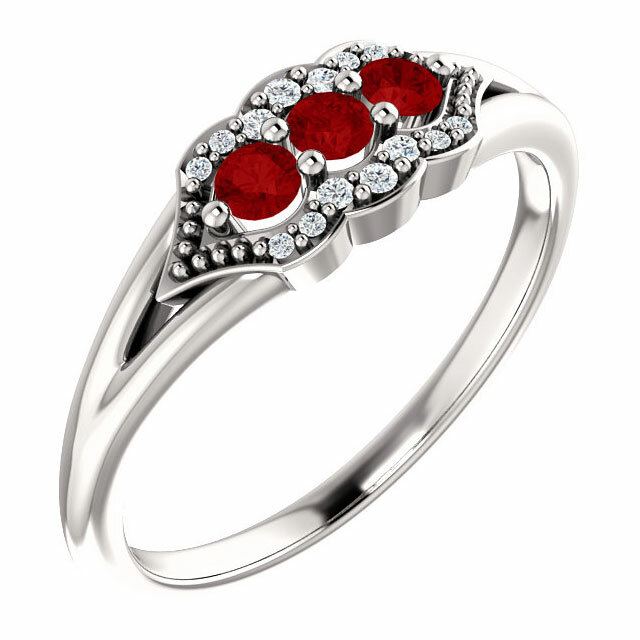 The ring is set with three 2.5mm genuine "AA" rated ruby gemstones and 0.04 carats of diamonds in G-H Color, SI Clarity. Also available with any gemstone (by request) or all-diamond version, shown below. 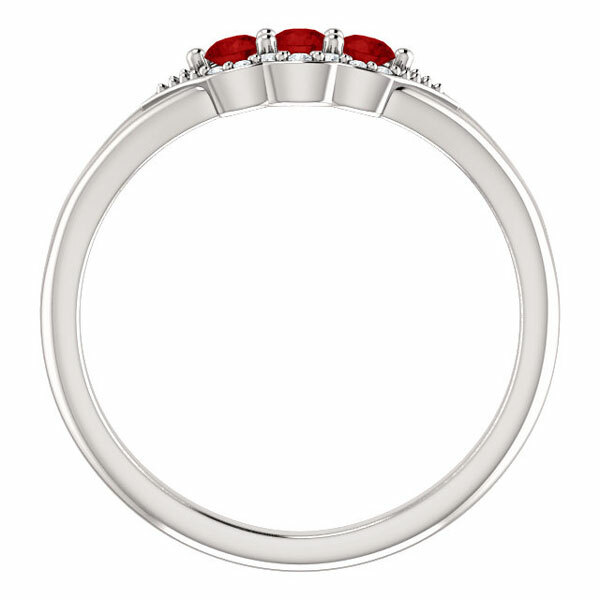 This ruby ring is made to order in the U.S.A. Please allow approx. 7-10 business days before shipping. 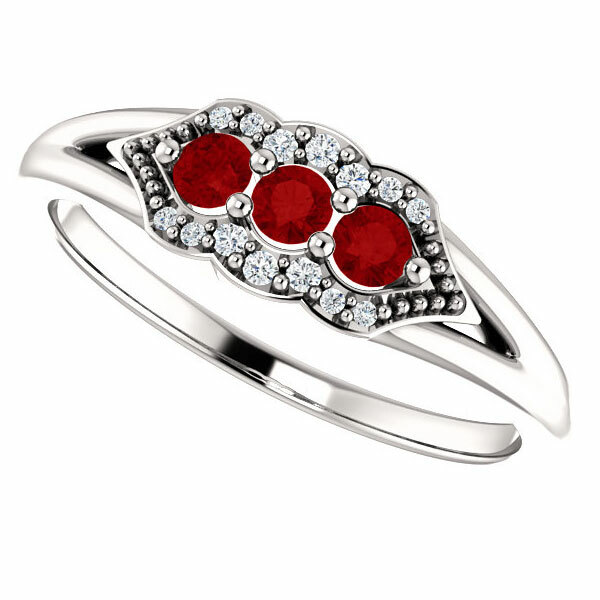 We guarantee our Tri-Set Ruby and Diamond Three Stone Ring, 14K White Gold to be high quality, authentic jewelry, as described above.